Rodgers & Hammerstein's CINDERELLA Comes to Broadway! A new production of RODGERS & HAMMERSTEIN'S CINDERELLA will arrive on Broadway this season with previews set for January 21, 2013 prior to Opening Night on February 21 at the Broadway Theatre (1681 Broadway), it has been announced by the musical's producers Robyn Goodman, Stephen Kocis and Jill Furman in association with Center Theatre Group. A television musical classic since it premiered in 1957, and a popular stage musical as well, RODGERS & HAMMERSTEIN’S CINDERELLA has never been staged on Broadway – until now. RODGERS & HAMMERSTEIN'S CINDERELLA has music by Richard Rodgers, lyrics by Oscar Hammerstein II, a new book by Douglas Carter Beane and original book by Oscar Hammerstein II. The musical is directed by Mark Brokaw. Josh Rhodes is choreographer. Music adaptation, supervision and arrangements are by David Chase. Andy Einhorn is music director and conductor. The design team will include Anna Louizos (sets), William Ivey Long (costumes), Ken Posner (lighting) and Nevin Steinberg (sound). Mr. Beane's book for RODGERS & HAMMERSTEIN's CINDERELLA offers a new romantic twist on the ultimate makeover story of a maid-turned-princess, mixing fresh comedy and wit with the beloved tale's classic elements -- the pumpkin, glass slipper, masked ball and more. 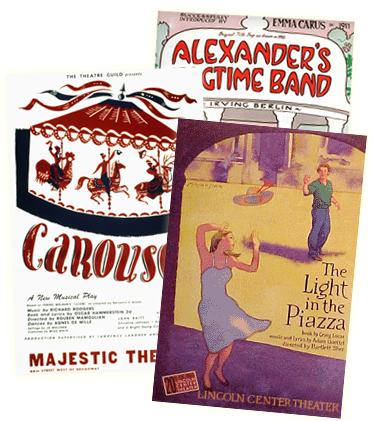 In addition to musical numbers from the original score -- including "In My Own Little Corner," "Impossible/It's Possible," "Ten Minutes Ago" and "Do I Love You Because You're Beautiful?" -- this CINDERELLA will include several songs from the Rodgers & Hammerstein "trunk." Joining the musical's previously-announced stars Laura Osnes as Cinderella and Santino Fontana as the Prince in the cast on Broadway will be Tony winner Victoria Clark as fairy godmother Marie, and Tony winner Harriet Harris as Madame, Cinderella's stepmother; along with Ann Harada as stepsister Charlotte; Marla Mindelle as stepsister Gabrielle; Peter Bartlett as Sebastian, Prince Topher's mentor and Prime Minister of the Kingdom, and Greg Hildreth as the rebel Jean-Michel. Tickets to RODGERS & HAMMERSTEIN'S CINDERELLA will go on sale in September. Tickets can be purchased by calling Tele-charge at 212 239 6200 or online at www.telecharge.com.